It's that spooky time of year again and what better than starting out with a life-sized Pumpkin crochet pattern, which would also be great as a trick or treat basket! But if this pattern doesn't tickle your Halloween fancy then you can check out more of my Halloween crochet patterns via the links below. If you want to make a bigger pumpkin then simply repeat this pattern of increases until you are happy with the size, so for example you would work *1dc in next 5, 2dc* for the next round. Now we work backwards with a decrease pattern to close our pumpkin! Stuff your pumpkin at this point, or stop here to make a basket! Ch1, 1dc in same st as previous sl st, *1dc in next st* repeat from * to * until end, sk ch1, sl st in first dc to join - (10) Fasten off leaving a longish tail for sewing. Sew remaining hole closed. 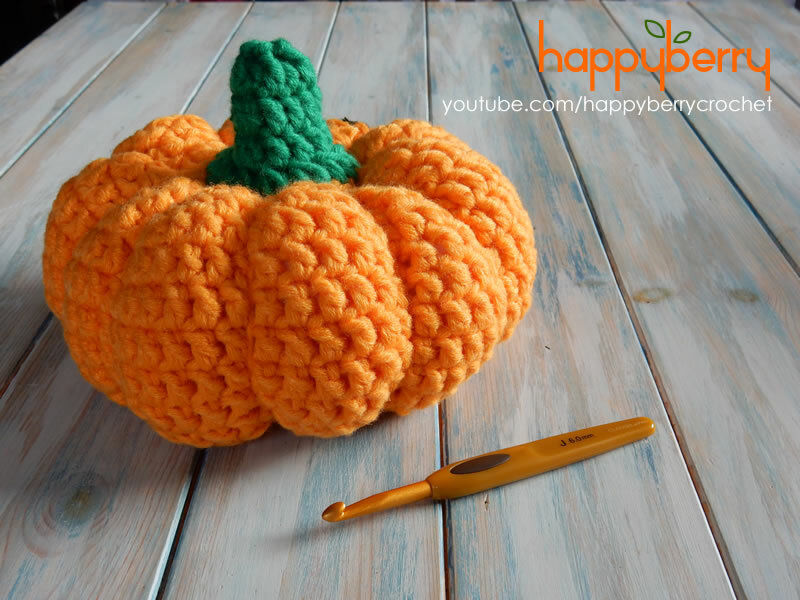 Take a very long length of your orange yarn and sew anywhere into your pumpkin and out of the bottom, then sew into the top of your pumpkin just before the green stalk, allowing the yarn to 'catch' on the outside of the pumpkin. Pull tight (holding on to tail end of course) to pull in and shape your pumpkin. Sew out through bottom and repeat another 9 times. See video if unsure. Want to add some eyes and a spooky mouth? 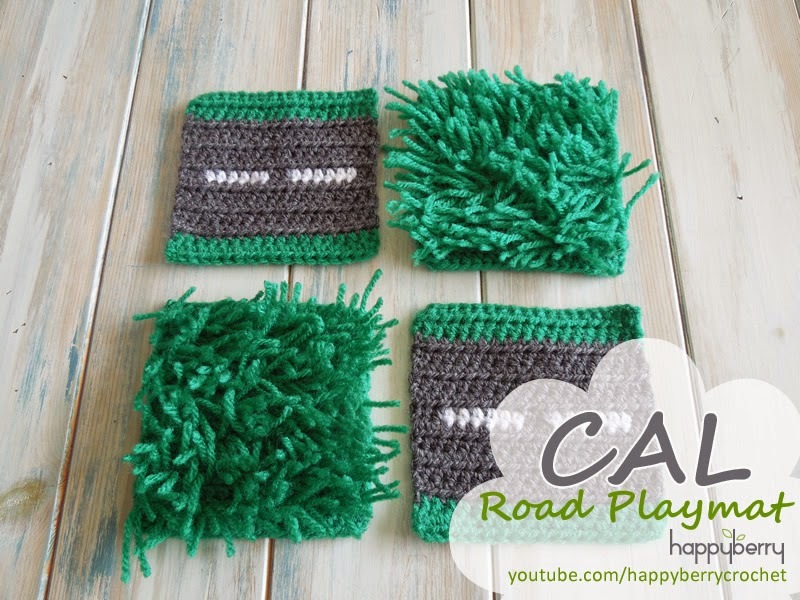 You can of course cut out some felt shapes and glue them on or you can crochet the following additional pieces and sew them on. 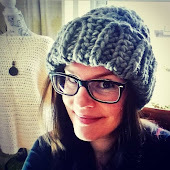 Using your black yarn, ch12, 1sc in 2nd st from hook, 1hdc in next st, sk1, sl st in next st, [ch3, 1sc in 2nd ch from hook, 1hdc in next ch] sk1, sl st in next 2 sts, *[ch3, 1sc in 2nd ch from hook, 1hdc in next ch] sk1, sl st in next st* repeat from * to * once more.